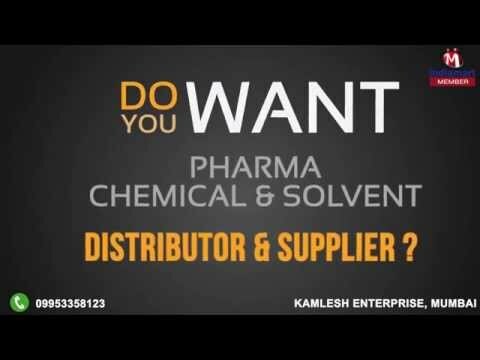 Welcome to Kamlesh Enterprise, Mumbai, established in the year 1992, we are one of the reputed organizations engaged in trading, distributing and supplying a wide range of Pharma Chemical & Solvents. The range available with us comprises Cellosolve Solvents, and Polyethylene Glycol. Widely acclaimed for their precise pH value, accurate composition, purity and longer shelf life, these chemicals are used in paint, rubber and textile industries. The chemicals we offer are procured from trusted and reliable vendors of the market. They assure to formulate the chemicals using premium quality ingredients at par with the guidelines set by the industry. Only after stringent testing procedures, the products are timely delivered at client's premises with the help of our wide distribution channel.